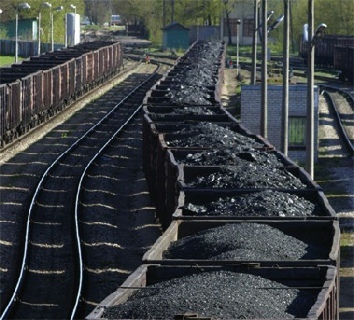 Coal is different to the other forms of fossil fuels. This non-renewable resource is solid and created from the dead remains of plants. Unlike crude oil and natural gas, we don’t drill into the earth and pump out coal. Instead we mine it, since it has the consistence of rock. China produces a whopping 3,240 million tons for coal. 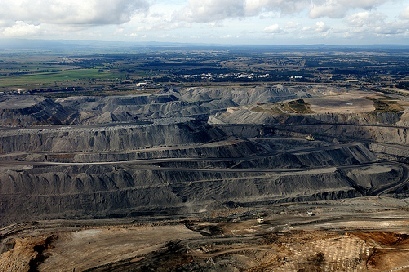 Meaning it produces 48.3% of the earths coal demands (2010). 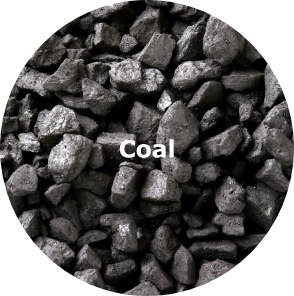 There are many different types of coal. 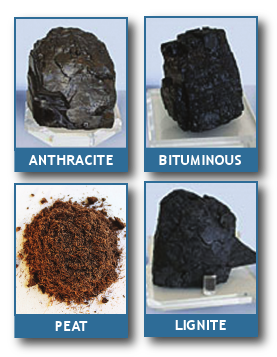 Lignite, or brown coal, has a low heat and low sulphur content, as we increase the heat and pressure we get Bituminous Coal (soft coal). This coal has a high heat content, however it has a high sulphur content. Lastly we have Anthracite or Hard coal. This is the most sought after type of coal. It has a high heat and low sulphur content. This is in limited supply as it takes a lot of time, heat and pressure to form. As you noticed, different coal contain different amounts of sulphur. We try to use coal with the least amount of sulphur. This is because of sulphur’s effect on the atmosphere. When the coal is burnt sulphur oxide is released into the atmosphere, mixing with other chemicals it creates acid rain. 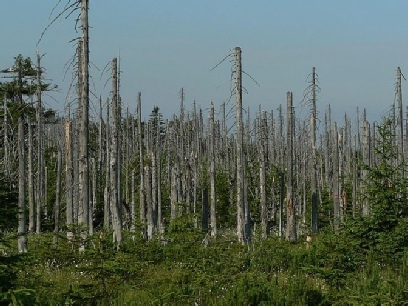 Acid rain can have negative effects our breathing as well as disastrous effects on the ecosystem. Sulphur dissolves magnesium and calcium in plants. This can cause major damage in ecosystems.